The recent Tennis Ireland case before the WRC, reported in IRN, resulted in the WRC Adjudication Officer deciding that Tennis Ireland had discriminated against the former director of development at the International Tennis Federation, on the ground of age, when it selected a less qualified candidate for the post of chief executive. The Adjudication Officer (AO) said that both candidates for the post had qualifications and experience which enabled them to meet the requirements of Tennis Ireland. The AO said that the claimant “was significantly better qualified” and had all the professional experience required in the sport. The claimant had considerable experience in sports management, having been in a senior position with the International Tennis Federation for 24 years. It was contended that his age, 58, was the reason for his not securing the appointment. The successful comparator was 44 years of age when he applied. The claimant said his interview notes had been marked by a board member with the word “mature”, which he said was a direct reference to his age. Tennis Ireland acknowledged the complainant’s extensive experience but strenuously denied that the word “mature” on interview notes intended any negative connotation with the claimant’s age. In the first round of interviews, the successful candidate came in first place and the complainant in second place. The final decision was made by a seven-person subcommittee composed of the respondent, “but without the person from Sports Ireland who had previously sat on the interview board”. The respondent’s chairperson said that it was felt that the complainant’s experience in his international role “was too high level for what the respondent needed” and that the successful candidate had garnered 5 of the 7 available votes. The AO said that the differences between the complainant and the successful candidate “really are significant”. The successful candidate was “significantly less qualified” and together with an age difference of about 14 years, this established facts from which age discrimination may be inferred. He said that the reasons given by the chairperson for the appointment of the successful candidate, that he had better “grassroots experience” and “on the ground” experience in terms of sponsorship and that he knew, for example, where to source cheap Astroturf, “make less sense when one considers that they relate to an entirely different sport…..which bears little resemblance to the sport which the respondent is responsible for”. Furthermore the complainant had worked his way up as an administrator and had experience at a “mundane level” of administering his sport, as much as at the top. While any organisation is entitled to emphasise the immediate challenges which the new hire needs to address the AO said “there is simply nothing in the complainant’s cv which would explain why the … respondent felt it could not trust the complainant to meet those challenges”. The AO drew on the case of Kathleen Moore Walsh v WIT. The Court held that in cases which involve the filling of posts, it is not the Court’s function to substitute its views on the merits of candidates for those of the decision makers. What it must do is ensure the selection process is not tainted by unlawful discrimination. He also drew on O’Halloran v Galway City Partnership, in which the Court pointed out that the qualifications criteria are a matter for the employer “in every case”, as long as these are not indirectly discriminatory. It is only if the chosen criteria are applied inconsistently as between candidates, or an unsuccessful candidate is clearly better qualified, that an inference of discrimination could arise. The AO concluded that it was clear the chosen criteria were applied inconsistently. He said that both candidates had qualifications and experience which enabled them to meet the respondent’s stated priorities, but the complainant was significantly better qualified and had all the professional experience needed. 8 Books Every Consultant Should Read at Least Once! You probably already know that being well-read is a must in the consulting world. Consultants are expected to have a broad knowledge of management, as well as good understanding of finance, strategy, and communications—among other things. But if you’re looking to up your consulting game , it’s hard to know where to start among the wealth of resources out there. So this week, I rounded up the eight books that have helped me along my consultant journey and career. Whether you’re applying for a job, trying to develop new skills, or just trying to kill some time, these books will help you learn tons more about the field. 2. HBR'S 10 Must Reads: The Essentials It’s important to have at least a basic understanding of major theories and academic thought within the business field, and for this, HBR’s 10 Must Reads is a great place to start. This book compiles the top 10 articles on management and covers topics such as innovation, strategy, analytics, and managing change. Once you finish the essentials, HBR also offers Top 10 reads on specific topics , like strategy or change management, to deepen your knowledge. 3. Valuation: Measuring and Managing the Value of Companies This tome is an essential read from a technical standpoint and also aids in understanding the underlying drivers of major corporations. If you are new to how organizations are valued, it will walk you through tactics on how to approach it. If you just want an overview on how financial statements tie to the share price and the decision making process of organizations, you’ll get a great overview. And if you’ve been asked to value a company or to gain a deeper financial understanding of organizations, this book is the ultimate reference. 4. Key Management Models: The 60+ Models Every Manager Needs to Know Because consulting is all about structured problem-solving, it’s important to become familiar with tools that you can use to help solve your clients’ problems. The book covers a range of models, from strategic to operational, and provides information on how and when to use each of them. I use it as a quick reference guide when faced with a new client problem or question. 5. Pyramid Principle: I’ve talked about the Pyramid Principle before , as it is one of the most quoted and widely used frameworks for structuring communications in consulting. It essentially explains that, in any communication, you should start with your recommendation, arrange supporting ideas into groups, and then provide detailed evidence in order to effectively support your story. If you have read the Cole’s notes on the framework and want to go deeper into how to apply it, then I would recommend diving into the full book. 6. The Back of the Napkin: Solving Problems and Selling Ideas with Pictures In the day-to-day work of a consultant, you will participate in a number of meetings, planning sessions, and workshops that require you to explain complex ideas or processes simply. This book gives you tools to do that with the help of of graphics and pictures. I love it as a reference guide when planning a meeting or presentation. 7. Case Interview Secrets: A Former McKinsey Interviewer Reveals How to Get Multiple Job Offers in Consulting If you haven’t heard of Victor Chang yet, he’s a case interview guru who has helped many people secure prime consulting offers. In his book, he outlines how to approach case interviews and provides tips and tricks on what interviewers look for—as well as common mistakes that candidates make. It’s a must-read for anyone going through the interview process. Strategy as 'direction' or strategy as 'plan'. What's your viewpoint? Proponents of strategy as a plan asserted that through careful consideration of options, organisations are forced to understand their environments, in turn stimulating new ideas, which ultimately produce economic value (Thompson & Strickland, 1987; Steiner, 1979). This link between performance and planning has not been unanimous, with authors often questioning any systematic link between the two (Shrader et al, 1984; Pearce et al, 1987; Armstrong, 1986). Furthermore, as ideas and best practice rapidly spread, operational effectiveness increases across sectors often reducing the positive correlation between planning and performance close to zero; Powell (1992) calls this the ‘planning equilibrium’. This view of strategy as a plan is commonplace. Drucker (1974) defined it as “purposeful action”; it is created consciously with a goal in mind prior to any actions (Mintzberg 1987a). More broadly, strategy is concerned with achieving success (Grant, 2016), allowing organisations to focus on what really matters (Sminia, 2014), driving performance (Sminia & de Rond, 2013). For Porter (1991) it is the fundamental core of whether an organisation wins or loses, in order to succeed organisations must create unique and differentiated propositions made up of different activities (1996). Simply put, it is about doing things differently or doing different things from the competition. The creation of long-term strategic plans can be important, particularly for branded products, set against a backdrop where maintaining market leadership and with it the ability to sustain superior profits is ever more challenging (Gehlhar et al, 2009). However, Mintzberg (1987b) cautions that although strategy is needed to outsmart competitors, which is at the essence of its formulation (Porter, 1979), it can sometimes obfuscate the need for operational excellence, moreover, at times it may be better to proceed without the straitjacket of a clear plan in uncertain waters. As instability and uncertainty have increased in the business environment, strategy has become less about detailed plans and more about direction. This century has seen a plethora of new challenges and an accelerating pace of change which has meant that strategy has become less about plans and more about options for the future (Grant, 2016). Mintzberg (1987a) calls this strategy as ‘perspective’, it has become more about “an ingrained way of perceiving the world” (p.16) which then sets course for future actions. Williamson (1999) seeks to meld both planning and perspective, critical of the deficiencies in strategic planning’s ability to correctly forecast the future with any accuracy, he suggests combining planning with opportunism. Companies should plan the capabilities needed and new potential markets in order to give them room to manoeuvre, creating strategic options that can be utilised when the time is right. 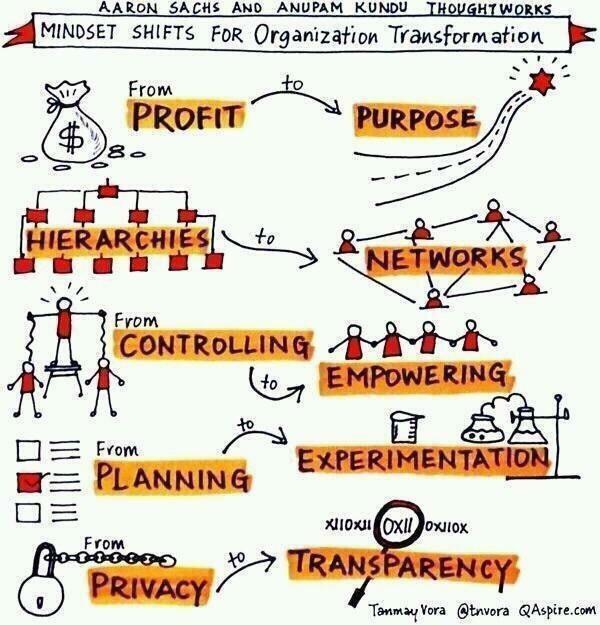 The change in emphasis from strategy as a plan to strategy as direction does not mean that its importance has lessened, whether adapting to and exploiting digital technology, creating strategic alliances or matching up to the changing demands of social and environmental responsibility, strategy in this context has an increased importance for organisations (Grant, 2016). In today’s competitive marketplace organisation’s require a constant focus to ensure consistency between internal strategy and the external environment in order to stay relevant and respond to customers’ needs and wants. Indeed, for companies to outperform the market they achieve a sustainable competitive advantage (Aaker, 1989; Porter, 1989), which means that the organisation must create a superior value proposition for its customers. In order to do this the company must have sufficient understanding of its external environment, specifically its target market, so as to be able to create this superior value (Narver & Slater, 1990). If your organisation needs to evaluate it's existing strategy, or indeed need help in creating either an Organisational or Marketing Strategy in order to compete in today's ever competitive business environment, feel free to get in touch and let us help you compete both now, but also for the future. ‘The only thing that we know about the future is that it is going to be different’ (Drucker, 1973). The change alluded to by Drucker is applicable for all things but is particularly resonant for business. Failure to adapt to change has led to the demise of numerous organisations’ both large and small over the past 15 years (Forbes, 2013). Those companies that have managed to stand the test of time have understood Drucker’s assertion and been able to adapt their business and strategy to fit the external forces shaping their markets. Invariably when thinking about strategy, the word plan is often the first that comes to mind (Martin, 2014). This is no surprise as although the conception of strategy has developed over the last fifty years planning, through the financial budgeting and corporate planning of the mid-twentieth century, was the keystone of strategic management.